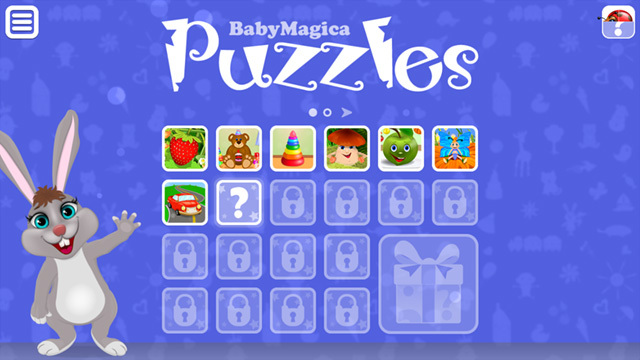 The game will be interesting for boys and girls aged 2 to 7 years. Every child will find a lot of fascinating and interesting things for himself. 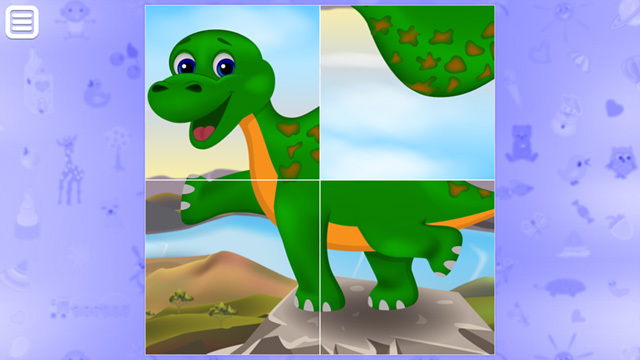 Put together a variety of colorful pictures: nature, animals, insects, fish, dinosaurs, vegetables and fruits. Enjoy the pleasant music and the sounds of the nature. 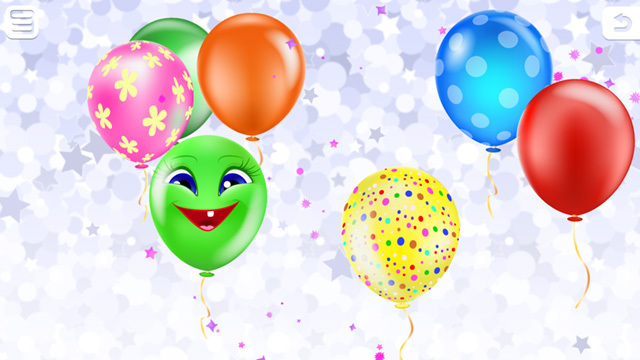 Have fun in the super-game - pop the air balloons out loud! 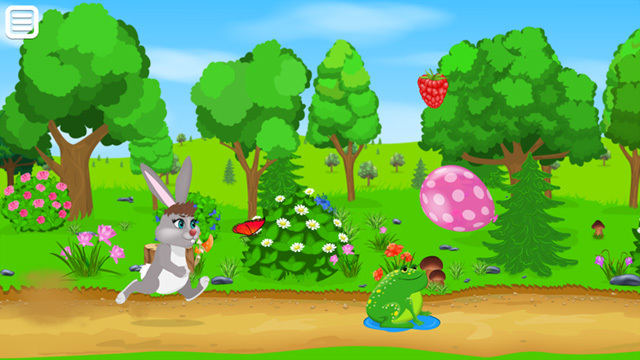 Open bonus games - run, jump, fly with a bunny Tozi - by overcoming various obstacles and collecting prizes. 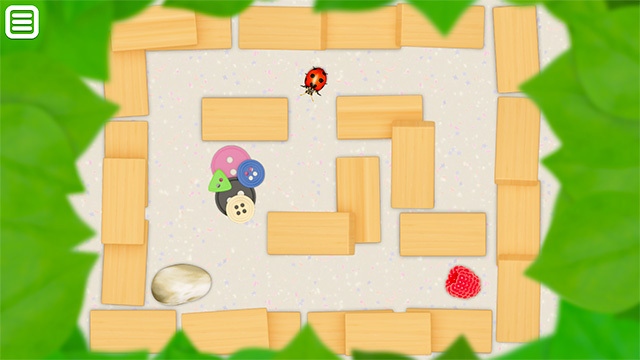 • An educational game for children aged till 7 years: trains logic, memory, attention and reaction. • More than 30 colourful illustrations for children. 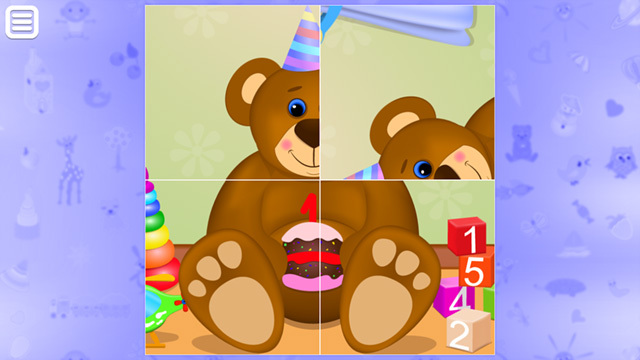 • A variety of prize items that can be played with. • Great music and sounds. • Simple and intuitive control panel with one finger.